Football in our school has really grown over the last number of years. 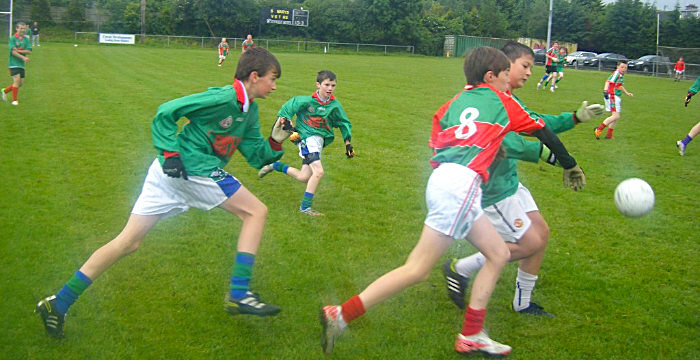 Our teams train every Thursday in Haughan’s field from 3-4pm. The girl’s team is coached by Ms. Burke and the boys by Mr. Moreton and Mr. Rooney and cater for boys and girls in 4th-6th class. 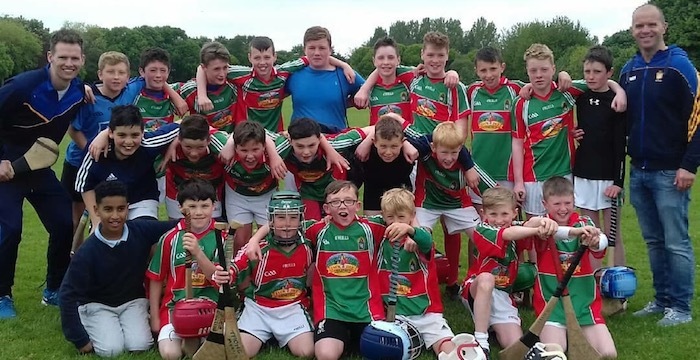 Our teams take part in Cumann na Bunscoil every year. Last year, our girl’s team made it all the way to the Shield final and played in Croke Park. We also compete in the annual 4Corners tournament between schools in Rathcoole, Saggart & Brittas. Each year, we organise our own St. Finian’s blitz which is open to all pupils from junior infants to 6th class and last year over 200 of our pupils took part. Children are welcome to take part in hurling and camogie in St. Finian’s. Training begins in September and runs throughout the school year. Training takes place at lunch time and beginners are always welcome. The school enters the Cuman na mBunscoil competitions which begin in March, with finals played in early June. In 2018 our Hurling team won the Cuman na mBunscoil Final. 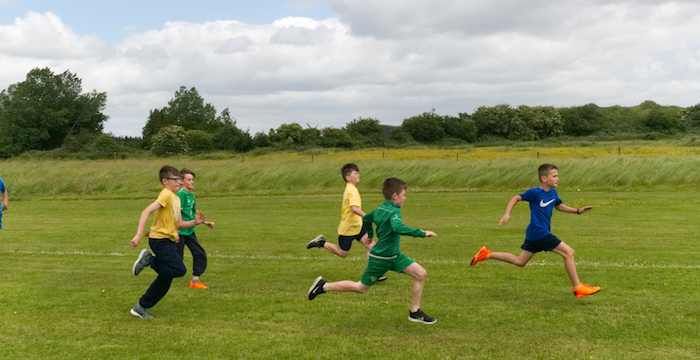 We compete every year in the Cumann na mBunscol Athletic series. This is held in Morton Stadium in Santry in May. We compete in the Individual Sprint and relays categories for both boys and girls. We have had some great wins over the years and are always contenders for a winning cup or two on the day. We have a really dedicated group of athletics that give up their free time to train. We have a very active Cross Country team in the school. The teams are made up from children from 4th Class, 5th Class and 6th Class. 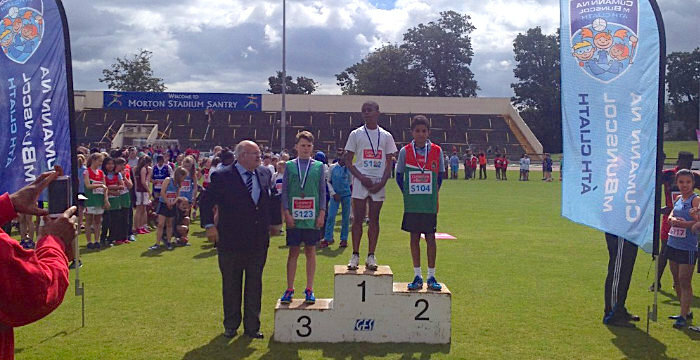 We compete in a series of events that is organized by South Dublin County Council. Our events usually take place in Lucan from February to May. We really enjoy it and look forward to it every year.